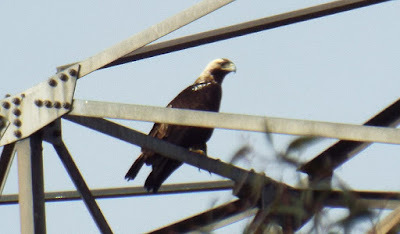 A large and powerful Eagle species that breeds exclusively in the Iberian peninsula, almost purely in Spain, the Spanish Imperial Eagle is thus one of the most threatened raptor species in Europe. Until comparatively recently, it was considered to be the same species as the (now renamed Eastern) Imperial Eagle found from Central Europe to Central Asia. Though you can differentiate the two on location alone, the while marks on the forewing make the Spanish Imperial visually distinctive. Still at risk from illegal poisoning and collisions with power-lines, the Spanish Imperial Eagle is recovering, and can even be seen comparatively close to some of Spain's biggest cities like Madrid and Seville.